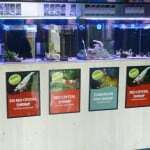 One of the few local fish stores under the name of Maidenhead Aquatics which isn’t situated in or around a garden centre, the Oxford (Wheatley) branch of Maidenhead Aquatics is very well situated if you are travelling along the M40. 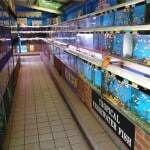 The store has a wide range of tropical, cold water and pond fish keeping supplies although marine is not catered for. 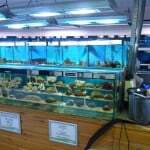 There are some dry goods for marine and when I last visited this week there is one marine display tank but no marine fish for sale. 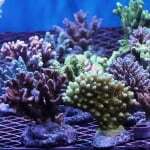 Having said that, there is a very good a large range of tropical and cold water fish. 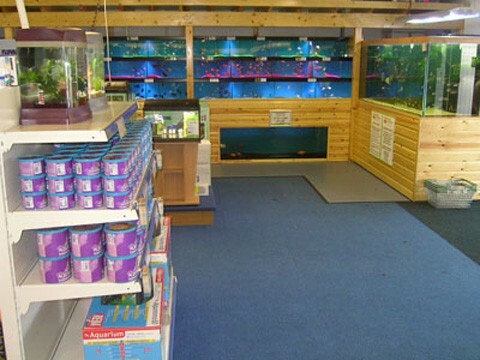 When you first enter the Oxford branch of Maidenhead Aquatics situated in the sleepy village of Wheatley you will instantly notice a large community tank on the right hand side behind the entrance. 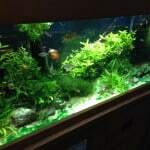 This tank always looks slightly murky but that is to be expected, it is an atmospheric tank and always something going on in there due to having a lot of dither fish such as red line torpedo barbs in there. 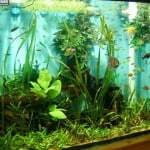 This tank is what actually inspired me to get red line torpedo barbs when I was keeping planted community fish and tanks. 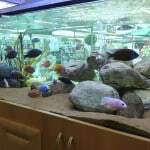 The range of tropical fish is strong and there’s always some oddballs and interesting fish that you wouldn’t find elsewhere. My only criticism of the Oxford Wheatley branch would be the prices. Some of their fish are higher than I’d normally want to pay, however the quality of fish can be higher than you would otherwise see so don’t let this put you off too much. Some of my most prized and beautiful fish that I have bought over the years have been from this branch and don’t for one second regret spending the extra for the higher quality. The staff are all very knowledgeable and happy to help with good honest advice. 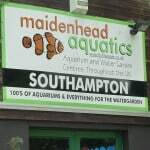 I’d recommend a visit to this branch of Maidenhead Aquatics, especially if you are planning a trip up or down the M40 motorway.